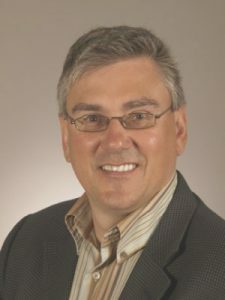 Luc Roy is the Chief Information Officer for Laurentian University and co-owner of Old Rock Roastery. As CIO, Luc is responsible for IT, Media and Web services for the university. In 1987, Luc graduated from the University of Ottawa with a Bachelor of Science, Computer Science. Luc worked as the Director of Product Marketing for Bay Networks (acquired by Nortel Networks) and many of its subsidiaries for 13 years. He continued to work in the computer networking industry as Vice President – Product Planning for Chantry Networks Inc. (acquired by Siemens), Vice President – Wireless Strategy for Siemens Enterprise Communications, Vice President – Market Management for Siemens Canada, Vice President – Wireless Strategy for Enterasys Networks, Director of Marketing for Greenfield Networks (acquired by Cisco) and Vice President – Product Management and Marketing for BlueCat Networks.